Casey McNamara lets nothing stop her from pursuing her athletic dreams — even diabetes. Now 18, Casey participates in three varsity sports for her Dedham, Massachusetts high school. Determined to push herself to the limit, she set her sights on one of the most prestigious events in running, the Boston Marathon. The legendary course has humbled athletes from around the world. 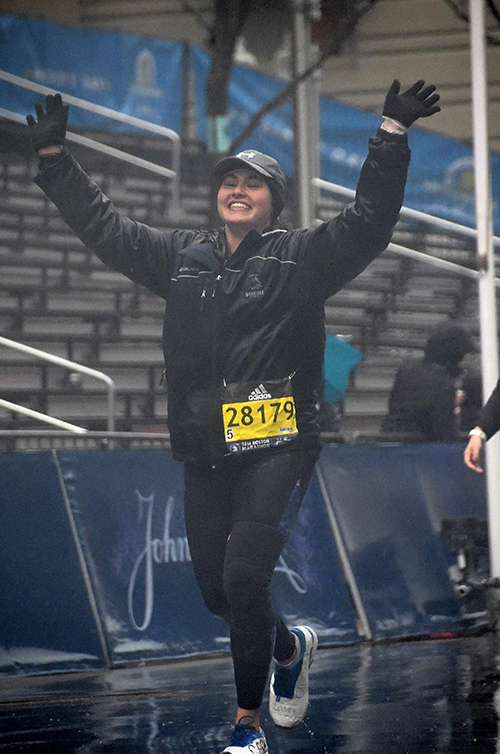 But Casey, who was diagnosed with Type 1 diabetes when she was four years old, battled torrential rain to reach the finish line of the 2018 race in a little over 6 hours. Through race donations from friends and family, Casey raised nearly $24,000 for Joslin Diabetes Center in Boston, where she is a patient. As Joslin’s 2019 youth ambassador, she’ll continue to advocate for diabetes awareness and serve as a role model for kids looking for guidance, support, and inspiration. Here she talks with HealthCentral about how she achieves her goals, both as a teenager living with a chronic condition and an athlete with ambition to burn. HealthCentral (HC): What’s the hardest part of being an athlete with diabetes? Casey McNamara: I think the biggest challenge is that every day is different and every sport affects my blood sugars differently. Running doesn’t tend to affect my blood sugars while I’m doing it; instead, I feel it six to eight hours afterwards. So I’ll see my blood sugars go down in the evening into the early morning. With ice hockey, my blood sugars actually tend to go up while I’m playing, because I have so much adrenaline. Something about the short intervals of sprinting makes them go up. Then, about four to six hours later, they go down. With golf, as soon as I step onto the course, my blood sugars go down. HC: Running the Boston Marathon has raised your profile and helped you become a role model for other kids with diabetes. What’s that like? Casey McNamara: It’s so amazing. When I ran the marathon I raised money for Joslin Diabetes Center —last time I checked, it was $23,701! The Brookline Patch [a local Massachusetts news site] wrote about me and after that article, there were people donating or Instagram DM-ing me, like, “My son has Type I. He’s three. We read the article about you. Thanks so much.” People I haven’t even met now entered into my networking circle. I can serve as a role model for them, and also vice versa. Just having these extra resources has been huge. HC: What were your strategies for managing your diabetes during the marathon? Casey McNamara: I’m super-blessed with my care team from the pediatrics unit at Joslin Diabetes Center. There’s an endocrinologist, doctors, nurses. They are unbelievable. My endocrinologist recommended that I sign up for a study while I was training for the race, so I got even more time with the nurses. They were spending extra time looking over my numbers and analyzing the things I did. The study focused on using a CGM, continuous glucose monitor. I wore a CGM for all the weeks I was training, and the numbers would be on my phone — obviously being a teenager, I always have my phone with me. It was really awesome to be able to see the trends and make adjustments. I was running with my insulin pump. I decreased the amount of insulin I was getting per hour to 20 percent of normal, because I was doing such vigorous exercise. Then I would watch my CGM and, based on if it was going up or down, I could adjust how much more or less insulin I would get. HC: What about eating or drinking during the race to manage your blood sugars? Casey McNamara: When I met with my endocrinologist, she was like, “You should be eating while you’re running.” So I carried a supply of Clif gummies. I would eat one of those every 10 minutes. So, I ran the marathon in six hours and two minutes… that was a lot of gummies. But they really helped me. My endocrinologist also emphasized that I should drink as much as I could every mile, because being dehydrated affects so many other things. During the race the really nice volunteers sat out in the rain with cups of Gatorade and water. The weather made things more complicated, though. We were running in a downpour. I didn’t expect that to impact my diabetes much, but it definitely did, because I was so cold that I didn’t think I needed to drink as much as I did. You know how when you’re hot, you’re thirsty because you want to cool down? I wasn’t trying to cool down. HC: You’ve said that you’ve been blessed to have really supportive parents. What would you like to tell other parents of diabetic kids? Casey McNamara: My parents gave me a lot of independence to learn by myself. They would watch me, obviously, but it was a lot like, diabetes is something that I am going to have to live with whether my parents are next to me or not. It’s something that I really needed to understand and take responsibility for on my own. The first things that I’d want other parents of diabetic kids to know is, yes, your daughter or son is a diabetic, but more importantly, they are a human being and they will make mistakes. They should, and you should let them. But when they do, just be there for them. It is frustrating, but it’s frustrating for everyone. No diabetic wants their blood sugar to be high. No diabetic wants their blood sugar to be low. Just like no parent wants their child’s blood sugar to be high or low. Just be supportive and know that you’re on the same team. You’re running the same race alongside each other. I think that would be my best advice. Listen to your kids. Pamela Kaufman got her professional start covering health at Vogue, where she wrote two columns on news and trends as well as feature stories. Her interest in healthy eating brought her to Food & Wine, where she became executive editor. 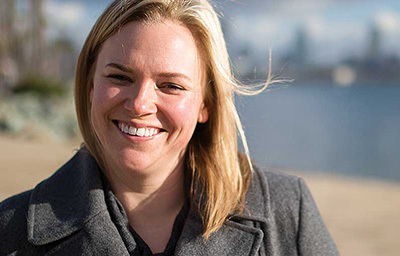 Today she writes articles about health and food, profiles courageous people living with chronic disease, and pursues all kinds of great stories. You can follow her adventures as an eater, mom, and traveler @pamkaufman.